The bat group is pressing on with training workshops, and the events list has now been updated to reflect these and the rest f the booked events for the year so far, so have a look at the events page for details. 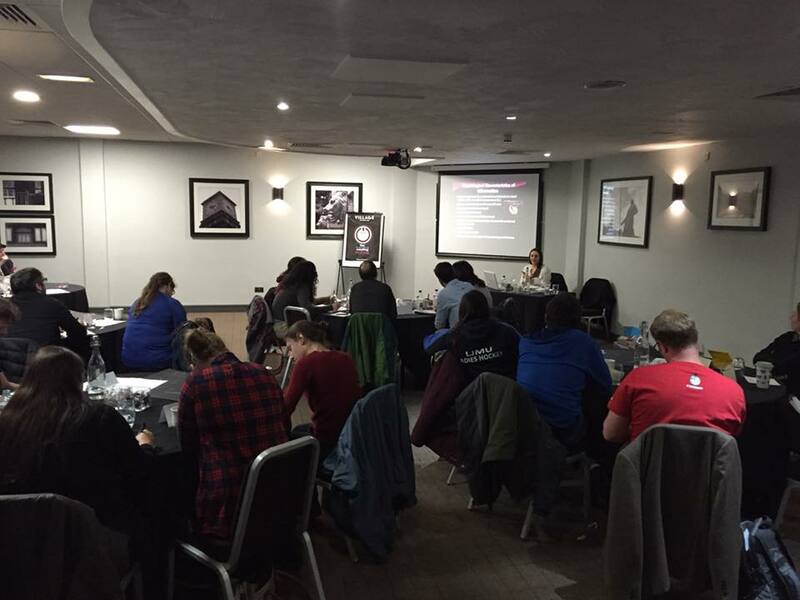 The AGM was a great success, with nearly 40 members attending in our great new meeting venue at the Village hotel Bury, which ahs also been helpful for training events over recent year. We had a wonderful talk on the State of the UK’s bats by Lisa Worledge from the Bat Conservation Trust. You can see more about the surveys contributing to this at http://www.bats.org.uk/pages/batmonitoring.html The great news is that we have had around 15 members volunteer to undertake surveys this year which is brilliant – thanks everyone who’s volunteered for this so far. The hibernation surveys are nearly complete in S Lancs; record counts of 5 bats in Belmont, and 23 in Edgworth were made last weekend,and today I re-visited the site which was locked when we last went and were therefore unable to conduct the count. There were 5 bats in total, which although not a record is quite high based on the most recent years – 4 BLE and a Daubenton’s bat…but yet again no Natterer’s which have not been recorded at the site for quite a while now. 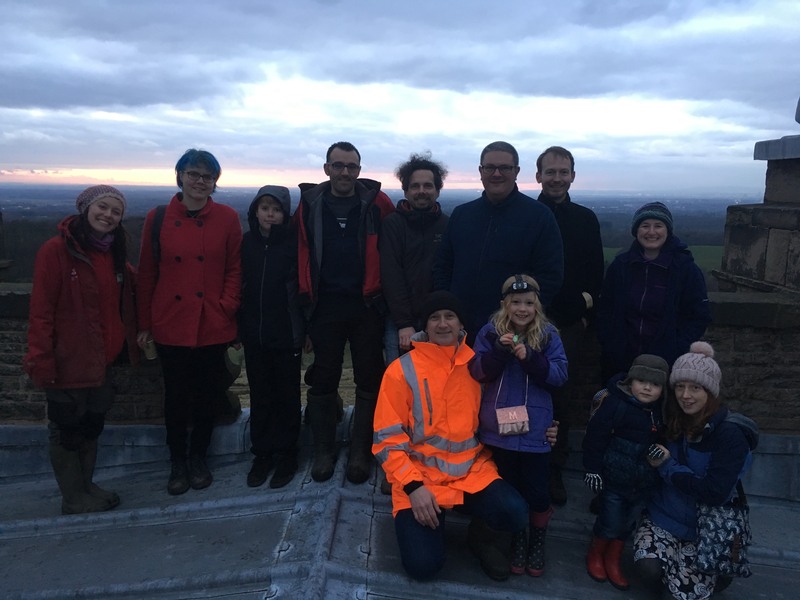 A number of our members who undertook some part in the Lyme Park surveys last year were invited to the Thank You event with fires, drinks and nibbles in the Cage tower at the site. On a bitterly cold day we braved the wind on the roof, which is where you should find all good bat-workers, for some great views of the sunset over South Lancashire. Earlier in the day we located and confirmed a new hibernation site at Lyme Park – recording 2 Natterer’s bats and 2 Daubenton’s bats. We will now continue to monitor this, and another highlight of the day was setting up a bat monitoring plan with Claire, the ranger, to carry out more surveys this year. We were extremely disappointed to see the tone of a recent article in the Manchester Evening News about a project we had to mitigate for the loss of a roost in Stockport working in collaboration with Stockport MBC. After many years of living with a growing soprano pipistrelle maternity colony in his loft a homeowner applied to prevent the bats from retuning. The licence was granted by Natural England as many years of trying to deal with the concerns they had, following SLBG’s involvement in trying to solve the issues, not worked suitably. This was disappointing as it was our largest known roost of 606 bats at maximum count and is situated in a local park. The owner did try to live with the issues, but ultimately could not. The local authority suggested that a building around 25m from the house, that they owned, could be converted for use by bats so working together we came up with a plant to install a large heated bat box, powered via a solar panel, and to make a number of other adaptations to the building to encourage bat usage. At the present time we don’t know how successful it has been, but it will be monitored. Our Trustees have written a complaint to the journalist, editor and the Independent Press Standards Organisation (IPSO) about the offending article, asking for it to be changed to reflect the actual situation and report the facts. Another great project that the group has been involved with this year has come to fruition. For a number of years our members have undertaken lesser horseshoe roost counts in the Conway Valley with Clwyd and Gwynedd bat groups. This year over 3200 lesser’s were counted over the two survey dates, using 11 roosts. We have now taken in over 100 bats into care, although its been quieter than most other years. Usually by now we’ve had another 25-30 bats in care. There have been some good release rates though. Over the four surveys for the National Nathusius Pipistrelle Project we caught 5 Nathusius pips including 2 females, but it wasn’t appropriate to radio tag them. We caught at least one on each night of the survey, our best start yet and hopefully this will continue until the end of the season. 8th April 2017 – Thank you to our volunteers who were able to attend the Volunteer ‘Thank You’ day. It proved to be an enjoyable day with lots of information sharing and (and of course, cake). Also, a big thank you to our trainers Clare and Steve who made today happen. At tonights AGM we were joined by our guest speaker Adria who is currently working towards his PhD at the University of Salford – School of Environment and Life Sciences. Adria joined SLBG in 2016 and has been involved in a number of surveys with us. Given his love of bats, research interests and obvious passion for all things bat, we invited him to give a talk of his choosing at our AGM. Thank you to all our members who were able to join us this evening. 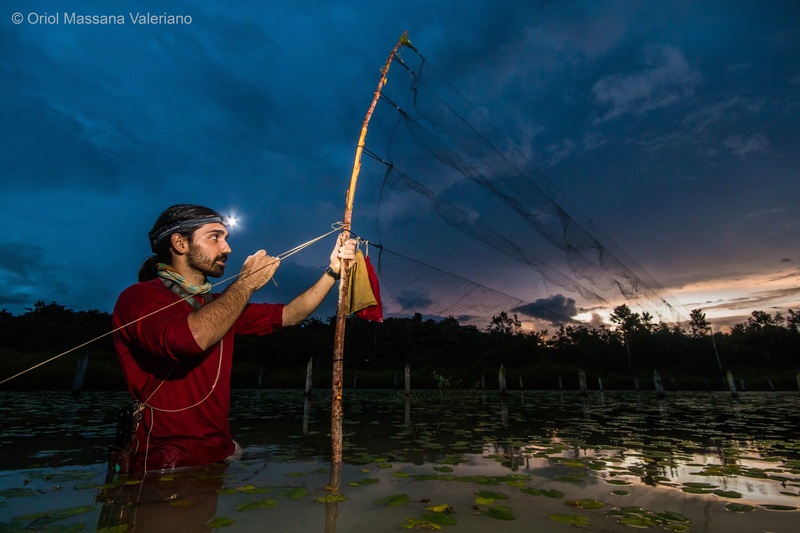 BATS IN THE LIMELIGHT – Quite often bats and the people wanting to conserve them are faced with a wall of hysteria, misconception, myth and legend. More often than not once we show people how awesome bats are they are hooked (we have had people terrified at the start of conversation and an hour later joining the bat group). The BBC are renowned for churning out high quality wildlife documentaries and their new documentary – BBC Earth Thailand: Earths Tropical Paradise – shows not only some excellent footage of different species of bat in Thailand but also highlights their beauty and diversity as well as their ecological and economic value as a natural pest control for farmers. 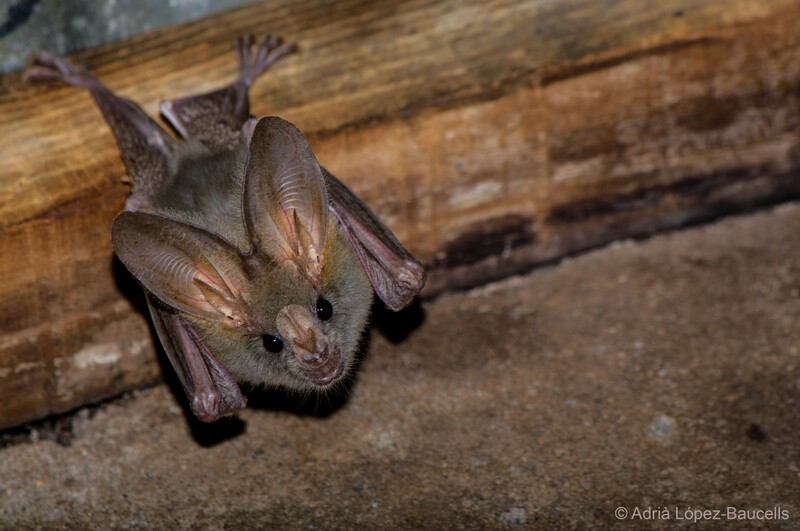 And for those who think bats are all black and brown..think again – check out the footage of the Painted Bat (Kerivoula picta) sometimes referred to as the butterfly bat. 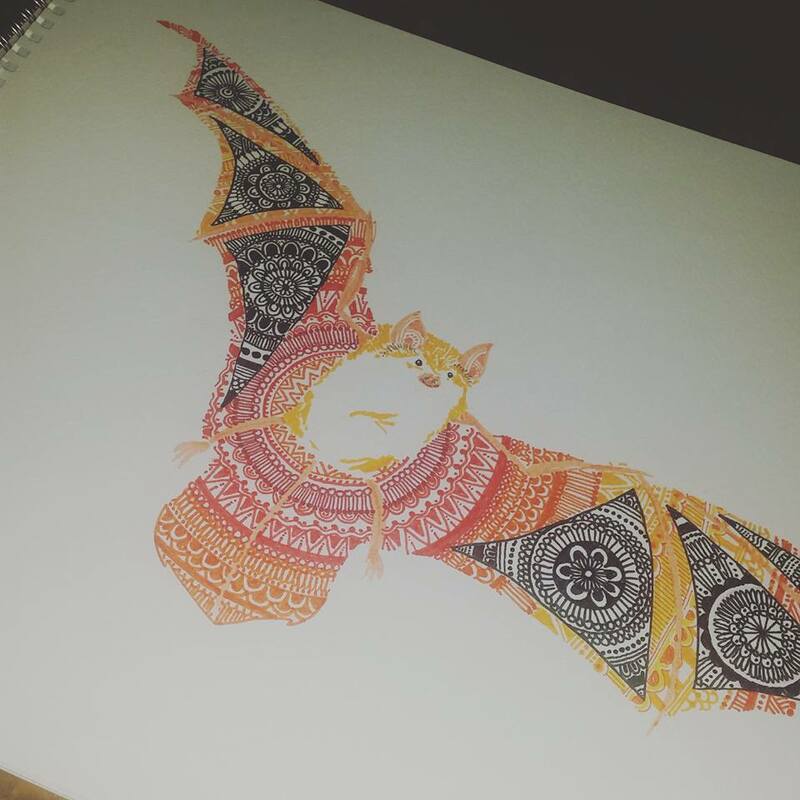 Inspired by the programme, one of our members designed this mandala patterned painted bat…and the bat itself is just as colourful. This evening we gave a hibernation workshop to jam packed audience. Interest in this workshop was so high that we had to book a bigger venue. It turned out to be a fantastic and interactive evening and hopefully they have all gone away much more informed and eager to learn more about bats in hibernation. Bat Box Checks 2016 – Each year SLBG conducts bat box checks across a number of different sites across Lancashire. As always, we were graced with blue skies and a good number of volunteers to help us locate boxes, and process the bats as quickly and efficiently as possible to keep disturbance to a minimum. These surveys are a great way for us to monitor the sites, keep a check on our boxes for any damage and see which bats are making the most of the boxes throughout autumn/winter. On final count we were a little less in number than in some previous years, however, overall it was a good count with Nocule Soprano pipistrelle and Daubenton’s all utilising the boxes. 23rd September – Autumn has almost definitely arrived bringing with it some chilly nights. This didn’t stop the Nathusius pipistrelles coming out. The evening started almost as soon as the harp traps and mist nets were set up with a lovely male in breeding condition, followed almost immediately by a juvenile female. Neither were ringed so were new records for us. Later in the evening we were joined by another juvenile female and a sizeable male Daubenton’s. 14th September – Nathusius, Whiskered, Soprano and Daubenton’s on tonights survey, not a bad evening at all. During a recent holiday to Brittany, we discovered an amazing place dedicated to bats. La Maison de la Chauve-souris (The House of the Bat) is a museum in Kernascléden dedicated to, you guessed it, bats. The first floor has various artefacts including a laser ranging device which demonstrates how bats use echolocation to find their prey, and a giant pair of bats ears mounted on handlebars that you can use to understand how bats benfit from directional hearing. Scale models show how bats use various features in the landscape to commute, forage, roost and hibernate. There are video monitors showing live action from the greater horseshoe maternity roost in the church across the road. I’m not sure how big the colony is but it looked pretty large to me. There is also a good collection of stuffed bats and their various body parts. On the top floor there is a darkened room you can navigate and try to find all the (model) bats roosting in different locations and habitats. Visitors are provided with a torch and a map to mark their results on. I’m happy to say we did pretty well at this exercise! NATIONAL BAT CONFERENCE – Over 20 SLBG members were at this year’s conference, great to see so many faces. 29th August – A busy bank holiday weekend surveying three sites as part of our annual swarming survey and the Nathusius project. We caught and recorded data for over 150 bats, a fantastic effort from all of our volunteers. 6th August – Our friends down at Kent Bat Group picked up a Nathusius pipistrelle which was ringed almost a year ago in Italy. This is a brilliant find and provides those of us participating in the National Nathusius Survey with a glimpse into the migratory behaviour of this pipistrelle species. 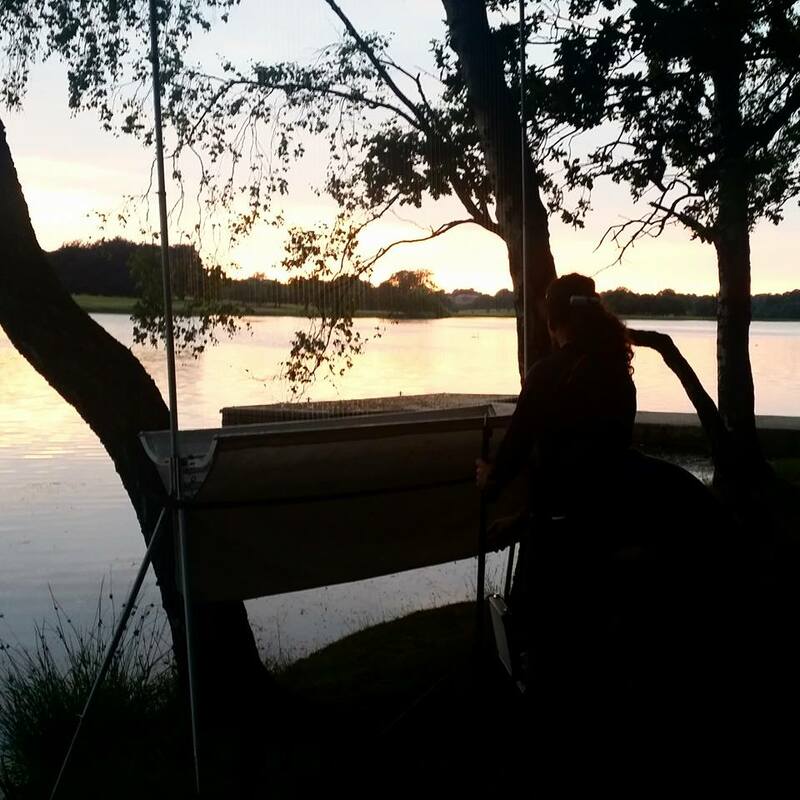 Nathusius Surveys Update – After being rained off on the first night of the Nathusius surveys, we welcomed 3 glorious evenings for surveying bats. Unfortunately, no Nathusius came out to play but there were plenty of Pipistrelle and Daubenton’s to keep us busy. 8th May – Its the first Nathusius survey of 2016 but someone forget to let the weather know…rained off. Trials and tribulations of wildlife surveys. 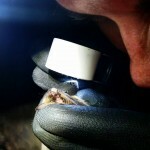 24th January Introduction to bats and SLBG, the first workshop for 2016. This is always a great interactive workshop, full of information for both new and existing members. Happy new year to you all. This weekend we kicked off our surveys for 2016 with a licensed hibernation survey of two sites here in Lancashire. Both sites are known to us and we return here year on year to monitor the sites. The weather has not been the best with relentless rain and flooding across much of Lancashire over the last month. Not ones to be deterred by such things as rain we ventured out into the wilds and even got a record count at one site – the flip side to this is that one of our volunteers almost lost his wellies but on balance, a very good day. MERRY CHRISTMAS to all of our members, volunteers and to everyone who has supported us throughout 2015. It has been a cracking year filled with many long nights, very early mornings, injured bats, radio tracking, surveys, walks, talks and events and it has been worth every minute. We have welcomed new members and met a host of great people but most importantly we have all had fun working to conserve bats in South Lancashire. We hope to see you all in 2016 and we wish you a wonderful Christmas. 11th October We were lucky enough to be promoting our local bats and the National Nathusius Project on BBC Countryfile. With the help and dedication of both our volunteers and the rangers at Tatton Park we were able to film an excellent piece with our very own Steve Parker taking the lead in front of the camera. The programme is available for a limited time on BBC iPlayer. 19th September If you find an injured or grounded bat please contact us for further advice. Alternatively, contact the Bat Conservation Trust for help and advice. 22nd August Swarming season is here! We returned to a great site which we survey in collaboration with Merseyside and West Lancs Bat Group. The weather was something to be desired complete with torrential downpours, thunder and lightening. The site itself provided us with some shelter and was sheltered enough that plenty of bats were still flying. In total we caught 45 bats of 3 species the majority of which were Daubentons followed by Whiskered and Brandts bats… we even had 5 recaptures from last years ringing study. 13th August This weekend saw us heading back out with our gloves and headtorches in tow to resume our surveys for 2015. We headed to two sites which we have become very familiar with over the past year. Friday night proved to be the busiest of the weekend with over 120 bats, mainly at dawn (yes, some of us were there all night). On Saturday night, a slight chill in the air and the promise of rain late on did appear to contribute to a lower number of bats, although it did not seem to deter a rather noisy Tawny owl who twice made an appearance. On the whole a good weekend. We recorded Common and Soprano Pipistrelle, Noctule, Brown Long-eared, Whiskered, Brandts and Natterers. BCT waterway survey – In search of the Daubenton’s bat. 1st August August is very busy month for us. Although we are still answering lots of calls, baby bat season is beginning to slow down and, in its place we have a lot of surveys planned to keep us busy. 24th July You may have noticed we have been a bit quiet of the past few weeks. Between late June and early August maternity season comes into full swing. During this period we reduce some of our surveys whilst we manage the increase in calls and rescues. If you find a bat then there is no need to panic. Click here to see what to do. For those of you in the South Lancashire/Manchester area then you can contact our helpline on 0161 764 8850. Those of you outside of this area please contact the Bat Conservation Trust on 0345 1300 228 who will be able to advise you of help local to your area. 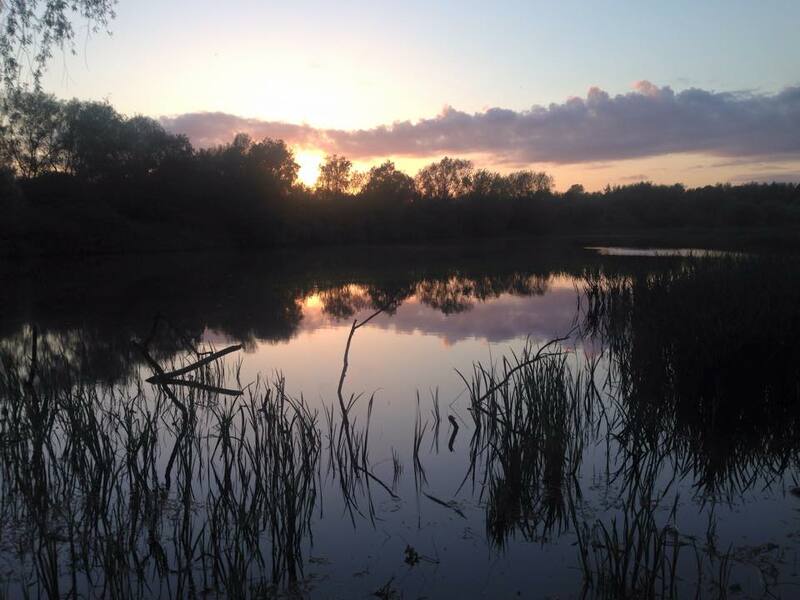 16th May It was a beautiful evening to be out surveying at Pennington Flash and the bats thought so too – Common and Soprano pipistrelle and Whiskered bats all made an appearance . 11th April A sunny but blustery day out at Tatton Park today where a few of us have been out training with the radio tracking equipment. 14th March Massive turn out at today’s Bat Law workshop and Bat ID workshop. Thank you to Steve and Clare for two very informative sessions. 28th Feb – 1st March We spent the weekend with Clwyd Bat Group this weekend to undertake some hibernation surveys. As usual we had a great turn out and more importantly, lots of bats to add to the annual count records. 27th February. A massive thank you to Phil Brown of Bristol University for presenting his MSc research into the distribution and habitat preference of Whiskered, Brandts and Alcathoe bats to us this evening. 24th January. Looks like we are going to have another busy year. Check out our events page for more information. 21st January. Winter time can only mean one thing, its time to clean and mend our kit. The harp traps are on tonight’s agenda. Goodbye 2014, Hello 2015. It has been a fantastic year for SLBG. We would like to thank you all for making 2014 very special year. We have welcomed new members and said a fond farewell to Mary as she retired from bat care. We have spent endless hours surveying, baking and even canoeing for our bats. We had record counts at some survey sites and were very privileged to take part in The National Nathusius Pilot survey. All in all it has been wonderful and we hope that you will join us for what promises to be a very exciting and busy 2015. A very Happy New Year to you all! SEASONS GREETINGS!We would like to take this opportunity to wish everyone a Merry Christmas – we hope you all have a wonderful time. 2nd December – Its that time of year again where QI meets SLBG and Christmas quiz takes centre stage of the bi-monthly bat group meeting. 29th November – Some of our members ventured over to Chester Zoo today to get a privileged look at the emergence of the bats in ‘Fruit Bat Forest’. 5th November – The National Nathusius Pilot Survey has now been completed, and we express our thanks for all the volunteers who have helped, taken part, processed, scribed, baked(!) and supported the project. 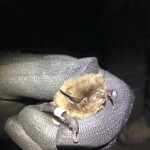 We had help from a total of exactly 100 different volunteers, mainly from within the group, but also from Cheshire Bat Group, Merseyside & West Lancs bat Group, Knowsley Safari Park Staff and Volunteers, Cheshire East Rangers, and YACWAG, who amassed a grant total of 328 equivalent survey nights. 31st October – Happy Hallowe’en! Remember, bats are for life not just for Hallowe’en. 28th September – We have had the pleasure of spending this weekend at the Lancashire Police Headquaters open event. SLBG would like to thank the Lancashire constabulary for the invite, the public for their support and interest in bat conservation and our volunteers for helping to make it a very successful and enjoyable weekend. 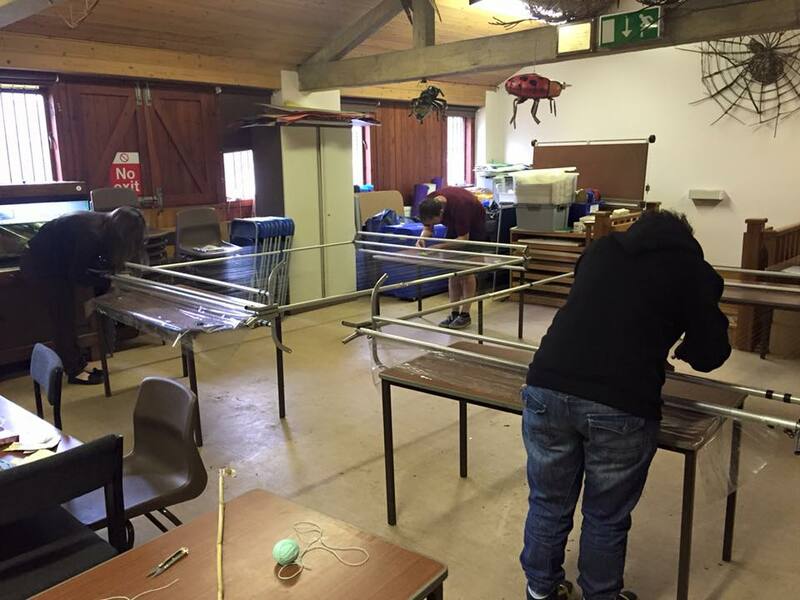 21st September – Sale Water Park was the last of last weeks 5 trapping sessions, a Whiskered bat was the outcome. 20th September – Chorlton Ees was the location of choice last night – lots of common and soprano pipistrelle’s were out and about early on. A few of us even stopped of at Unicorn co-operative to celebrate its 18th birthday with some lovely food and even free cake. 17th September – A female whiskered was the only bat caught at Island Lodge – great to confirm what we always expected from heterodyne detector surveys! 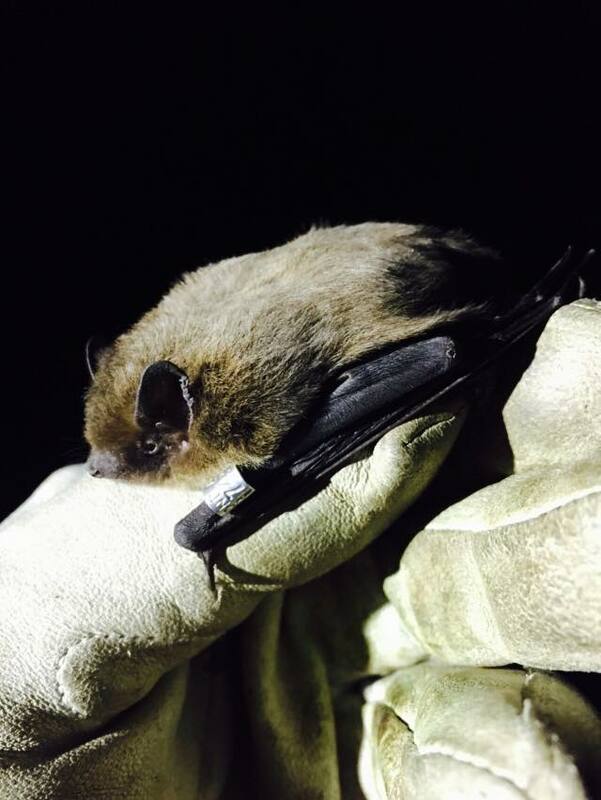 15th September – The Nathusius pilot project was given a boost with the appearance of a beautiful male Nathusius. 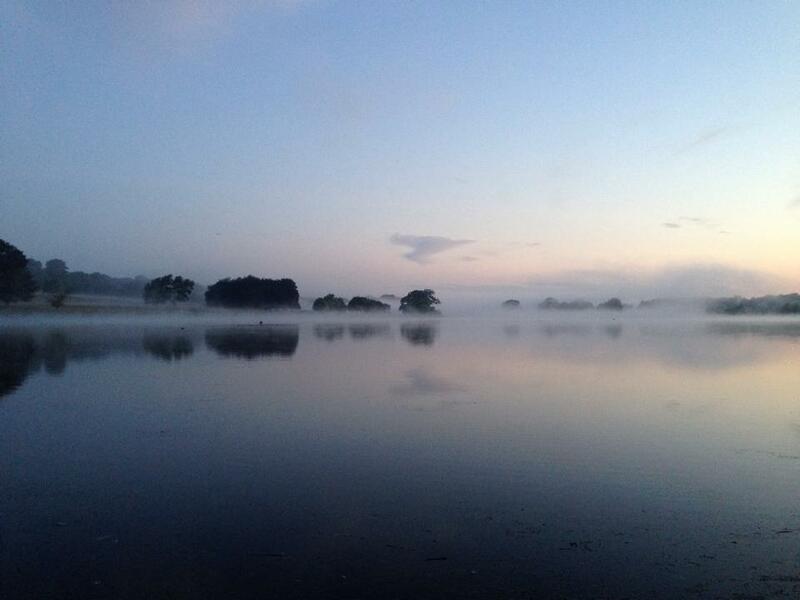 14th September – The Nathusius project stepped up a pace with the discovery of 6 bats at Marbury Park. We had a number of soprano pipistrelles, a noctule and a Natterer’s bat (the first for the site). The Nathusius pips were 3 of the males we caught on 18.08.2014, and ringed, 2 of them had found females and were found in the box together. We also added another male in a box on his own. A fantastic day. 13th September – Swarming session no.2 for this weekend. 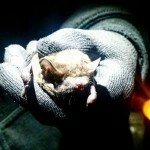 It was cold but the bat’s kept us busy nonetheless with a record count for the site. 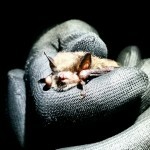 Species included: Daubentons, Whiskered, Brandts, Natterers, Brown long-eared and Common Pipistrelle. 25th August – Elsewhere in the UK, a few of our members have spent their bank holiday weekend tracking bats down in Oxfordshire. 20th August – Another great night at Tatton park with lots of bats including daubentons, common pipistrelle, soprano pipstrelle, whiskered and brandts; but the most exciting was the appearance of a lovely brown long-eared, the first we have caught at Tatton. 18th August – It was a chilly night surveying in Knowsley Safari park but the bats made an appearance despite the weather. 13th August – Our involvement in the Nathusius project was given a boost when our survey at Marbury produced not one but FOUR nathusius pipistrelles. 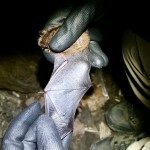 Stay tuned to hear more about the project and these rare bats. 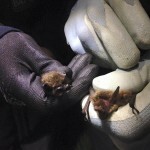 3rd July – Baby bat season is well underway and we are as busy as ever. If you find a grounded or injured bat please visit our HELP! I’ve found a bat page for advice on what to do next. 14th June – Tatton Park is proving to be a brilliant site for bats. We surveyed from dusk until dawn and found 6 new roosts – 3 Soprano pip and 3 Long-eared. We also had records of Noctule, Daubentons, Whiskered/Brandts and Common Pip. 4th June – A great evening out with Clwyd Bat Group in North Wales complete with lovely welsh scenery and of course…Lesser Horseshoe Bats. 27th May – A bit chilly compared to the other nights surveying at Tatton Park but the bats came out nonetheless. Again, lots of Noctule and Soprano were recorded, and we even came across some other creatures of the night including fox, badger and a cheeky hoot from a tawny owl. 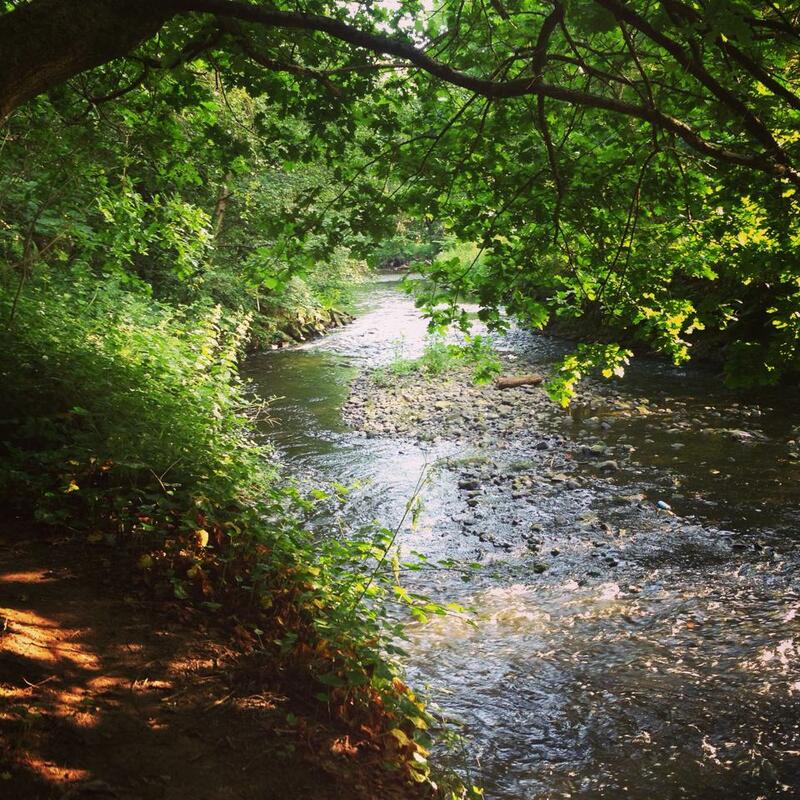 17th May – Look at that beautiful weather here in South Lancashire today. A few of us are taking advantage of the sunshine and heading out to look at potential sites. Stay tuned for some photos of our day. 12th May – Another fantastic turn out for last nights survey with both South Lancs and Cheshire Bat Groups recording lots of bats from Soprano pipistrelle’s to Noctule’s and even a few Nathusius pipistrelle’s for good measure. 8th April – A warm welcome from the ladies of the Prestwich Ladies Club who invited us along to give a talk about bats and the work we do here at SLBG. We even got tea and biscuits, brilliant! 23rd February – Another successful hibernation survey, 2nd highest record of bats at one site with Daubenton’s, Whiskered/Brandts, Natterer’s and even a Brown long-eared on the list. 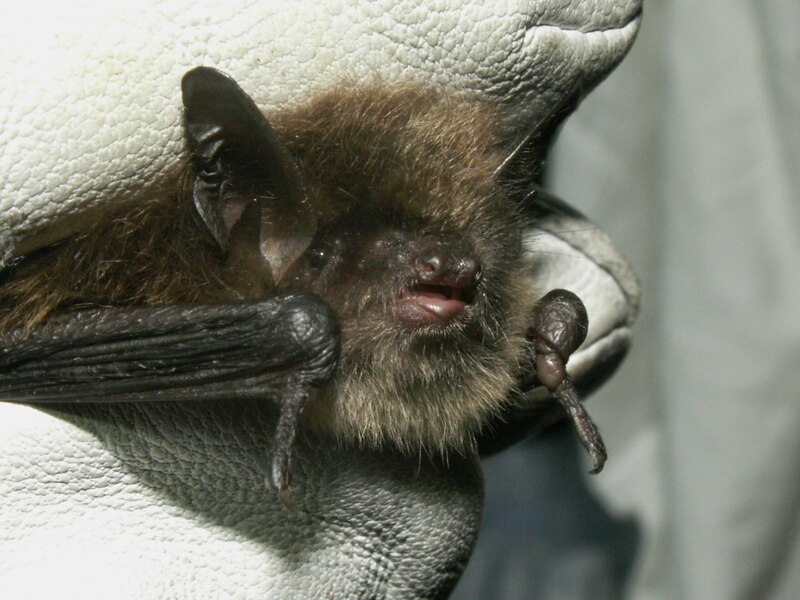 22nd February – The first workshop of 2014 – Introduction to Bats – proved to be a success. 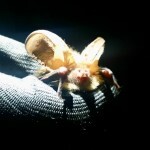 We welcomed some new members to the group, but best of all was the surprise find of a little brown long-eared bat. Brilliant start to 2014. Congratulations! our newest bat enthusiast – Simon and Vicky Holden (and Millie, who has a new baby brother) are the proud parents of Alfie, born on 6th January 2014, weighing 6lb 5oz. What great news at the start of the year! 26th January – Record counts of hibernating bats in Bolton! Great, if cold day, full of caving, Daubenton’s bats and Whiskered/Alcathoe/Brant’s bats, plus a few which had been ringed in during the swarming surveys. 3rd December – Monthly meeting – A discussion on the future direction of the group as well as some of our future projects. Followed by a Batty Christmas Quiz, compared by our Chair, Martin Prescott. 3rd November Our recent bat box check at Duxbury woods found the highest occupation rates since we started the survey with 20% occupation and 23 Noctules, and 3 common pipistrelles. 1 Noctule and 1 soprano pipistrelle at Haigh! 5 great nights on our swarming project during September and October. 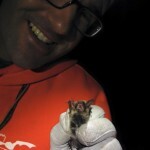 We caught 167 bats and most were ringed as part of our long term study into the use of both sites.